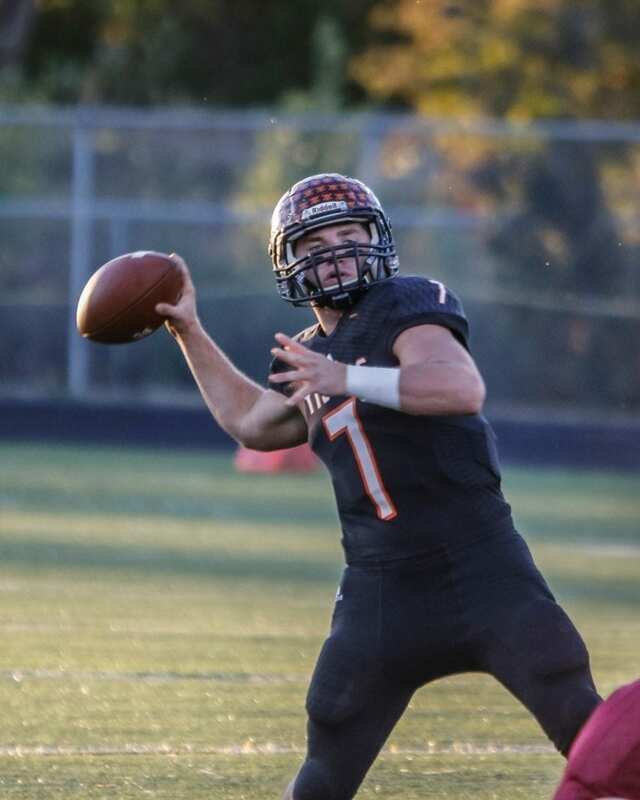 Battle Ground quarterback Gunner Talkington (7) gets ready to throw deep. 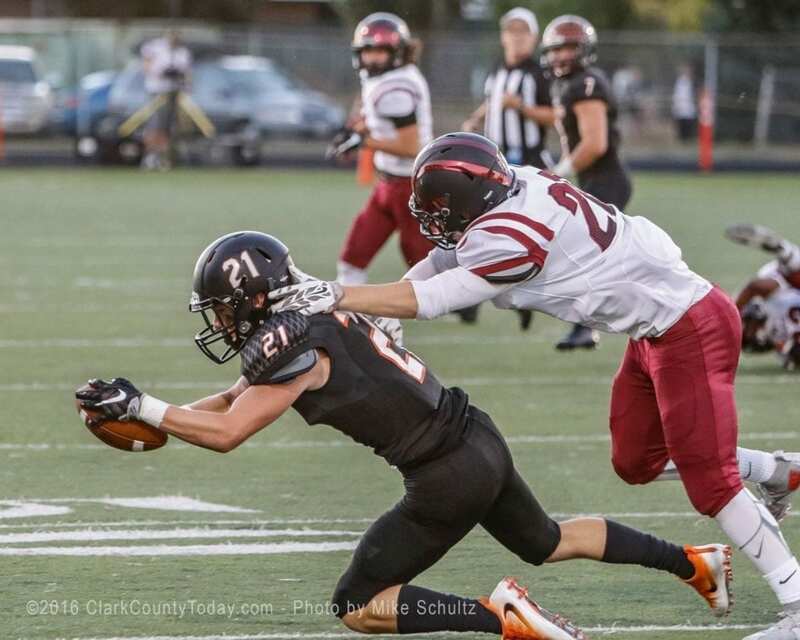 Battle Ground wide receiver Max Randle (25) scores a touchdown against Tualatin. Battle Ground wide receiver Austin Adams (22) is congratulated by offensive lineman Conner Skolrud after scoring a touchdown against Tualatin. Battle Ground quarterback Gunner Talkington (7) takes off on a run for a big gain. Battle Ground wide receiver Brock Robinson (21) makes a diving catch Friday night.